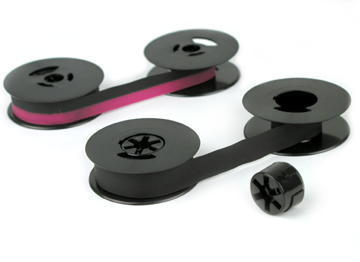 This ribbon has a special spool designed to fit most of common standard and portable manual typewriters. The spool features a removable center core, which makes this ribbon even more versatile. This ribbon fits most Noiseless models such as Remington and Underwood standard & portable models (1930s and later). It can also be used for Remington Super, Travel, QuietRiter portables of 1950s.